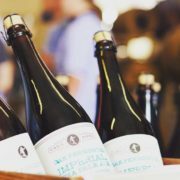 Asheville, NC – On Saturday, August 27th at 6:00pm Hi-Wire Brewing | 2 Huntsman Place | will be releasing a limited number of 22oz bottles of their Good Vibes Fresh Hop Double IPA (9.0% ABV), made with local hops from OB Joyful Hops Farm and malt from local Riverbend Malt House for $15 per bottle. From supporting non-profits, or acting as a lead sponsor for local festivals, Hi-Wire Brewing prides itself on being a local business in Asheville, NC. More important, they love giving back to the community that formed them as a brewery. Good Vibes Fresh Hop Double IPA is a ‘thank you’ to the community that has embraced and supported Hi-Wire from the beginning. This big, fresh hopped IPA, showcases Heritage & Pilsner malt from Asheville’s Riverbend Malt House, and creates the perfect canvas for 15 lbs per barrel of freshly picked Chinook and Cascade hops courtesy of OB Joyful Hops Farm. 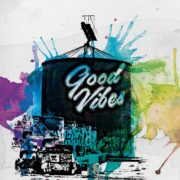 The bottle release will feature local artist, Ian Wilkinson, whose artwork can be seen on the Good Vibes water tower located in the River Arts District as well as the Good Vibes Fresh Hop Double IPA beer label. Ian will be doing a live art demonstration during the bottle release that will be raffled off at the end of the evening. Every individual who purchases a bottle of the Good Vibes Fresh Hop Double IPA beer will automatically receive a raffle ticket. Additional raffle tickets will be for sale for $5. All proceeds from the raffle will go directly to the Asheville Area Arts Council. Live music from local musicians, Jay & John Moye, will be happening in conjunction with the release from 7pm-10pm. Foothills Local Meats, a company specializing in local and pasture-raised meats for retail and wholesale markets, will be serving up fine eats for the event as well. Come on down, and join Hi-Wire Brewing, Saturday, August 27 at 6:00pm as they raise a glass to celebrate all-things-local, and even better, all-things-Asheville! 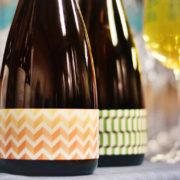 Approaching their one year anniversary of brewing one­ off and sour beers at the revamped South Slope Specialty Brewery, Hi­Wire Brewing has hit their stride and is building towards more frequent releases from their wild ale and sour program. 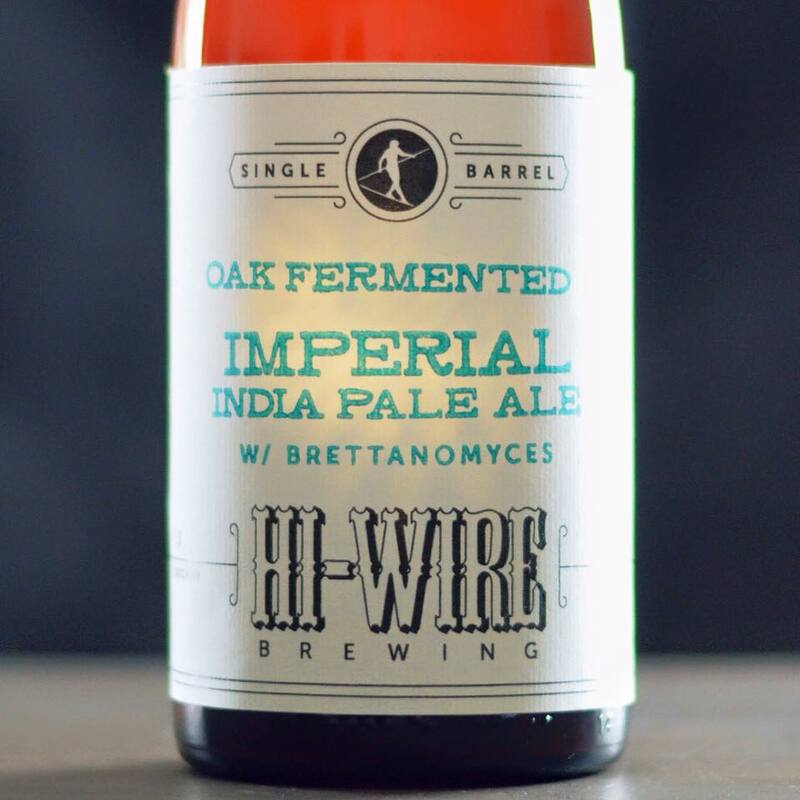 To celebrate, Hi­Wire will be releasing Batch #5 of their Single Barrel Series, Saturday, July 9 at 12pm at their South Slope location | 197 Hilliard Ave.
Hi­Wire Brewing took a leap of faith one year ago and started experimenting with sours and wild ales. In addition to their sour and wild ale program, a small portion of production is dedicated to producing a different line of limited speciality beers which they are calling the Single Barrel Series. All Single Barrel Series releases are small batches fermented 100% in oak barrels with mixed yeast cultures, bottle conditioned with brettanomyces, and sold in cork and caged 750ml bottles. Batch #5 of the Single Barrel Series is a single malt, single hop Imperial IPA (9.5% ABV) brewed and aged in a white wine barrel with Brettanomyces for 8 months. Dank tropical fruit & bright citrus notes from Citra hops blend perfectly with earthy brett funk & oak in this big complex beer with a smooth, warming finish. Bottles will be $14. Production of these beers are limited to 120 bottles each and will not see distribution. Join Hi­ Wire at noon on July 9 to get your hands on these special, limited beers.